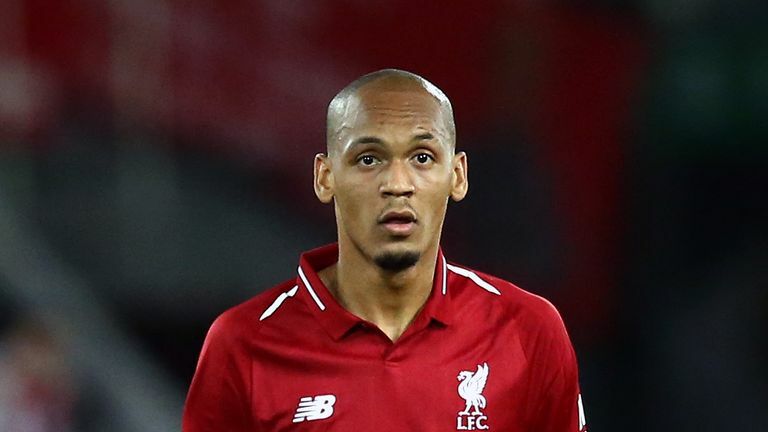 Liverpool midfielder Fabinho admits he is yet to fully settle on Merseyside but believes he is on the "right track" in adapting to his new life in England. Fabinho joined Liverpool in a £43.7m move from Monaco in July but was initially afforded limited first-team opportunities, with Jurgen Klopp reluctant to rush the Brazilian into action. However, his role has grown in importance in recent weeks and the 25-year-old has started the club's last three matches - including Saturday's 1-1 draw with Arsenal. Fabinho believes he now has a fuller understanding of Premier League football but says he is still adapting to his new surroundings after five seasons at Monaco. "I'm not totally settled just yet," said the Brazil international. "I'm still adapting to here but I believe that I'm now used to the football style, especially when it comes to the intensity of the game which is really different from the league that I came from. "Also, I'm feeling well at the club. I can communicate well with my team-mates, even though my English isn't great. The language barrier is one of the issues so far. "Regarding the managers, I'm adapted to their training sessions and I'm comfortable with that. I'm now playing more regularly, which is also important. "I'm on the right track to completely adapting to England." Fabinho could make his fourth consecutive start for Liverpool away to Red Star Belgrade in the Champions League on Tuesday evening. Club captain Jordan Henderson will miss the trip to Serbia as he continues his recovery from a hamstring injury, but Naby Keita and Dejan Lovren return to the squad. Klopp has omitted Xherdan Shaqiri from his squad in order to "avoid any distractions" that may be caused by his Kosovan-Albanian heritage.